Nancy Brinker of the Susan G. Komen charity thanked WWE on Twitter for raising over $1.5 million in the fight against breast cancer, so the October campaign was a huge success. For those who have asked, the ECW Exposed special on the WWE Network tomorrow will indeed be a live broadcast. Eva Marie wrote on her Instagram account that she's recovering from an injury. The Zack Ryder torn rotator cuff took place during his bout on Monday against Rusev. Former WWE champion CM Punk has been spotted in Los Angeles a few times this week. 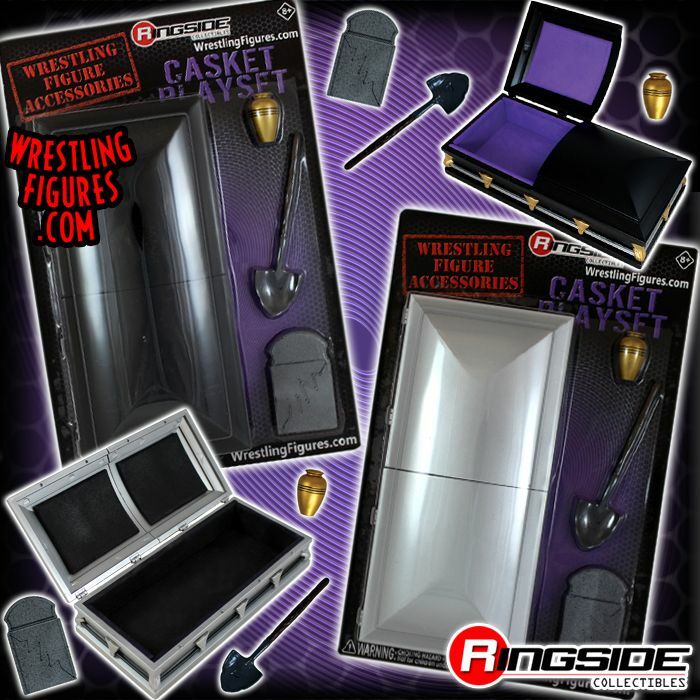 Our friends at Ringside Collectibles are now selling an exclusive casket playset for use with your WWE action figures. You can use code PWInsider to get 10% off your orders at www.RingsideCollectibles.com.